Decide which notifications you would like to receive and what your expense preferences you would like turned on. Depending on your permissions, you may see different options. 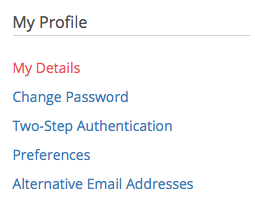 For example, approvers and assistants have access to additional notification settings. 2. Click Preferences in the left-hand menu. 3. In the Notifications tab, you can turn on which email notifications you would like to receive. 4. 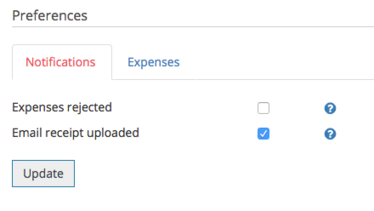 In the Expenses tab, you can decide on your expense preferences. 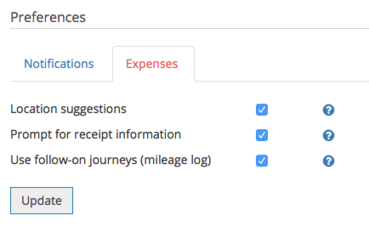 Click Update to assign your notification and expense preferences.